To keep our teeth in good condition we do a lot of things. Regular brushing and flossing is part of everyone's daily routine, but many people do not realize that paying attention to gums is also necessary. Healthy and strong gums can enhance your smile. It is important to strengthen gums as any gum disease can damage your teeth. Why Is It Important to Strengthen Your Gums? Many people are familiar with the word "gum disease" but most of them have no clue about what it actually is and how to strengthen gums to prevent gum disease. Gum diseases and infections can damage your teeth and cause many problems in your mouth if not treated properly. Unfortunately, gum disease is quite difficult to treat and it is usually diagnosed late because this condition is painless. Gum disease is one of the most common causes of tooth loss in adult population. Gum disease starts with the build up of plaque on teeth. The plaque develops due to bad oral hygiene, which can be prevented by regular brushing and flossing. The initial signs of gum disease are bad breath, red or swollen gums, bleeding gums, loosening of teeth and receding gums. If you notice any of these contact your dentist so the gum disease can be treated at earlier stages. Advanced gum disease is known as periodontitis and is difficult to treat. It can lead to the formation of periodontal pockets and swollen gums. If it reaches the bone it can lead bone erosion and tooth loss. Ginger is a great herb known for its healing and anti-inflammatory properties. It can prevent gum disease by making the gums healthy and strong. An apple a day can also keep the dentist away. Make sure that you munch it slowly so it can clean the teeth and remove the plaque buildup. Don’t forget to rinse your mouth after eating it. Milk and dairy products are full of calcium which is good for bones and teeth. Milk also helps to neutralize the acid in your mouth. These are full of vitamins and fiber and when you chew them a lot of saliva is produced which washes away the bacteria. Raw onions have antimicrobial properties and if you eat them they can kill the harmful bacteria in your mouth. For healthy and strong gums it is also important to avoid the foods which can damage them. Junk food, candy, sweets, fizzy drinks and other sticky foods are not good for your gums as they tend to stick to the teeth and the normal bacteria present in mouth turns them into acid. The food debris, bacteria, acid and saliva lead to plaque formation. The plaque gets attached to the teeth and leads to tartar formation. The acid also dissolves the enamel and leads to cavity formation. If you want healthy gums and teeth, brush them regularly and properly. When you brush your teeth the plaque and tartar is removed and there is no build up. This can prevent cavities, tooth decay and gum damage. 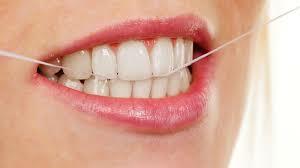 In terms of how to strengthen gums, it is recommended to do thorough flossing at least once a day. There are two types of floss available in the market, PTFE (mono-filament) floss, and nylon (or multi-filament) floss. You can choose either one based on your preference. Flossing can effectively remove the debris and plaque. Brushing teeth is not enough to ensure that all the nasty bacteria are gone from your mouth. They can linger on your tongue after brushing and flossing and to get rid of them it is important to clean your tongue. You can use your tooth brush or a special tongue brush to clean your tongue. A tongue scrapper is also very effective to clean the tongue. Massaging gums increases their blood supply and with more blood flow they get more nutrients and extra oxygen. The waste products also get removed more effectively. You can massage them gently with the index finger. Press it on the gums and move it in a circular motion. Give all your gums a massage and then rinse your mouth with a good mouth wash or salt water. Be aware of the fact that gum massage can make your gums a bit more sensitive. Fluoride makes your teeth and gums strong. It fights with tooth decay and cavities. In most cities tap water is fortified with fluoride and most of the tooth pastes and mouth washes do contain fluoride. 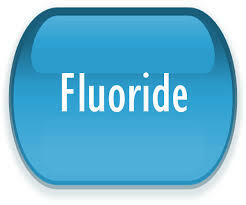 If you need extra fluoride your dentist can prescribe a fluoride rich tooth paste or mouth wash. If you are seriously worried about your teeth and want to know how to strengthen gums, quit tobacco. Smoking damages teeth and gums badly. Sensitive and bleeding gums, stained teeth and oral ulcers are more common in smokers and you should quit smoking for the sake of your health. 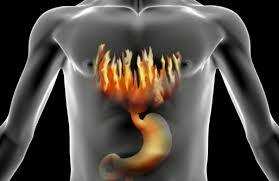 The stomach acid is very strong and if you have reflux or acidity the acid fumes can reach your mouth and destroy your teeth and damage your gums. People with bulimia and other eating disorders are also at a high risk of developing teeth and gum diseases. All these conditions should be treated for better teeth and healthier gums. Can You Use Mouthwash During Pregnancy? Should I Remove My Partially Erupted Wisdom Tooth?